Mead Elliot, who works at the John Hancock Tower, said the top floors of the 100-story building look like a “haunted house.’’ Every year at this time, the creepy bugs ride wind currents to the top of the buildings, where they spin their webs, he said. 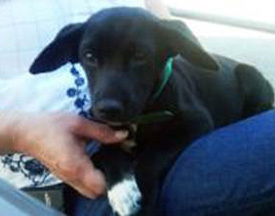 Tina Parker and her family were in a car near Liberty, South Carolina, when they spotted a little black Labrador on the roof of a double-decker freight car. They followed the train for six miles before they could signal the crew to stop. The dog now lives with the Parkers — who named him Boxcar. After a young tourist from Belgium left her backpack with a teddy bear on the ground near PM Fredrik Reinfeldt’s Stockholm offices, he put the stuffed animal in a box and mailed it to the address the girl had left in the bag. She got the bear a few days later, along with a note from the prime minister and a photo of the security guards who found the bear.